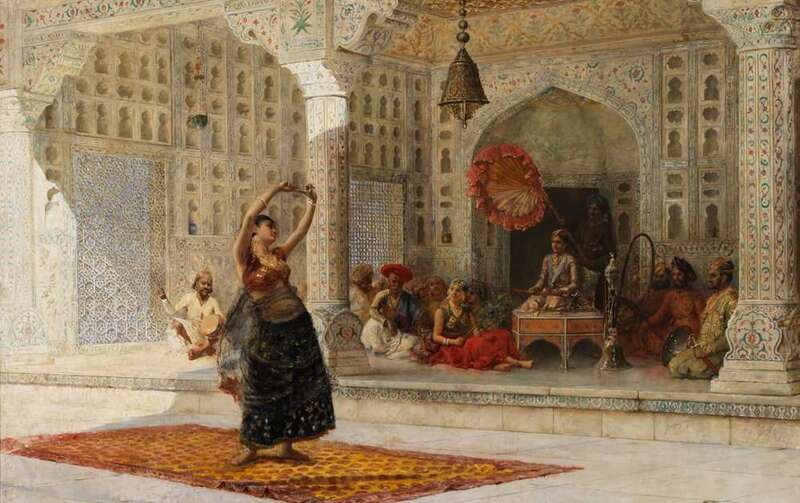 In the late 18th and early 19th century (200 years ago), the hashtag that could have been trending in Europe (and the West in general) would be : #Orientalism. It was then, that Irish poet and author Thomas Moore wrote a bestseller encouraged by none other than Lord Byron himself who nudged him to explore the Orient in his works. And so he did, beginning one of his most famous works, “Lalla Rookh” in 1811. Lalla Rookh was published in May 1817 and went on to inspire painters, choreographers, musicians and composers alike. Moore used the tale-within-a-tale technique, and told the story of beautiful princesses, brave warriors, handsome princes and exotic locations. The result was, that Lalla Rookh was an instant hit. The first edition was sold out, followed by 4 more editions in the first year itself ; many adaptations, translations and musical concerts followed. Even a ship was named “Lalla Rookh” by the East India Company. It was a phenomenon. India’s cultural exchanges with the world during the 17th-19th century are well known. 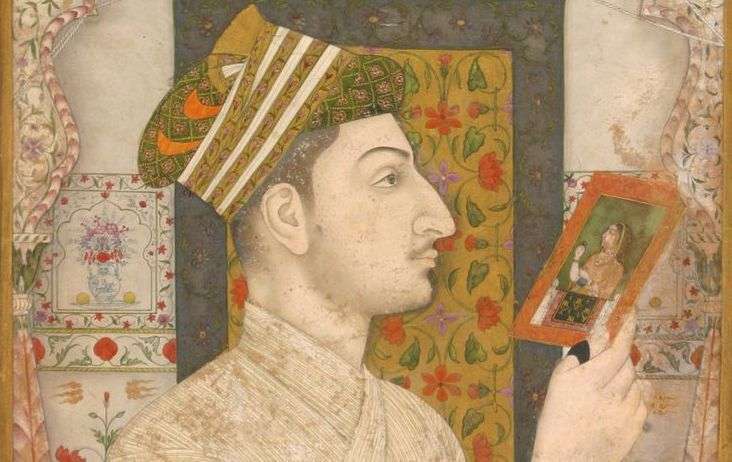 You can read about Rembrandt’s Mughal inspiration here. 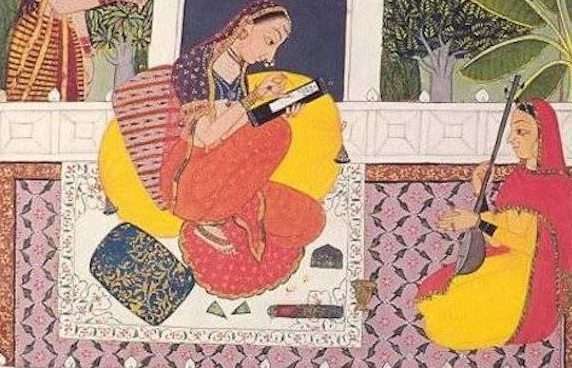 Just as Rembrandt, Thomas Moore had never travelled to India and yet created a masterpiece centring around the Mughal King Aurangzeb’s daughter, her wedding-to-be, and a poet she falls in love with against the backdrop of a road trip from Delhi to Kashmir! A long time ago, when Kashmir was not synonymous with a political hotbed and indeed was paradise on earth, it attracted scores of Mughal Kings, British Royals and diplomats who frequently visited the valley, seeking its pleasures. Kashmir thus became the subject of travelogues, paintings, poetry, songs and more. After Lalla Rookh became a hit, tourists flocked to Kashmir even more than ever before. Thomas Moore, referencing some of these travelogues ( by George Foster and Francois de Bernier ) created an imaginary tale about Lalla Rookh, Aurangzeb’s fictional daughter. The framework of the story includes a Princess betrothed to marry the Prince of Bokhara (present day Uzbekistan), setting off on her wedding voyage accompanied by her father’s vice chamberlain, Fadladeen. Apart from the women joining her on the journey, there is also a poet, Feramorz, who had recently arrived at the Court. En route, he narrates to the Princess 4 long stories (which I’ve summarised below)! A dark tale of cruelty and doomed love, this is the first story told to Lalla Rookh by Feramorz, the poet. It is a fictional story of the lovers Azim and Zelica and their sufferings in connection with the Veiled Prophet’s (i.e Mokanna’s) rule. Mokanna’s followers claim that the veil hides his great beauty. In reality, he is neither a beauty nor a prophet but is, instead, a hideous, violent impostor, posing as divinely inspired religious leader while ruling by fear, trickery, and deceit, as Zelica eventually discovers. Azim, the hero, is misled and duped into joining a revolt against Islam led by the evil Mokanna who then enslaves in his opulent harem Azim’s beloved Zelica. Zelica, believing Azim to be dead, joins the harem hoping that doing so will reunite her with Azim in Paradise. It is only later that Azim realizes that the ideals of liberty of ancient Greece are not the motivation of Mokanna, and Azim switches his loyalties to the counter-revolutionary Caliph. He leads an attack against Mokanna’s army destroying them successfully. Unable to bear this, Mokanna commits suicide and this is witnessed by Zelica who is overcome by remorse for having joined the harem. Thinking she cannot be reunited with Azim, she takes up Mokanna’s veil and impersonates him on the battlefield. Azim mistakenly attacks and mortally wounds her, even as her identity is revealed just before she dies. With vows and promises, the lovers are reconciled and Azim remains in mourning by Zelica’s grave for the rest of his life. Just before he dies, he has a vision of her and thus the lovers are reunited in death. The second story is that of a Peri (persian angel), who has been banished from Paradise. She is denied entrance into heaven by the Angel at its gate, and is charged to bring back the “perfect gift” in order to be admitted. The Peri heads to a war-torn part of the world and returns with the blood of a dying warrior-hero but fails. On her second attempt she visits Egypt and witnesses a young couple. She brings back the “last sigh” of the girl who chose to kiss her lover stricken with plague so they may die together. Yet, she’s denied entry into heaven. On her third quest she witnesses an old sinner weeping at the sight of a praying child, as he repents his past sins. One of the sinner’s tears – a sign of true repentance becomes Peri’s redemption as the gates reopen to let her in. In this story, Fire Worshippers refers to the Parsis / Zoroastrians and tells the story of their struggle against the Arab conquest of Iran. Hafed, the leader of the rebel group of Zoroastrians encounters and falls in love with Hinda (the daughter of the enemy). When Hinda comes to know of her father’s plans to destroy Hafed, she runs to sound him off but is taken captive by his group. Hafed of course, comes to her rescue but decides she must depart for a safer place and so she sets sail. In the meantime, Hafed and his group are taken by the enemies and Hafed jumps into the Zoroastrian sacred fire altar, meeting his death bravely. Hinda witnesses this from afar and so jumps into the sea to drown and die. Feramorz’s fourth tale, The Light of the Harem, is set in the court of Soliman the Great. Crown Prince Selim has a favorite in the Harem, and her name is Nourmahal. He becomes preoccupied with matters of the state, and must go away for a while. This displeases Nourmahal, who turns to her friend, the sorceress Namouna for advice. Namouna arranges for a Spirit to appear to the sleeping Nourmahal, who tells her she must sing to Selim to win his attention. Nourmahal follows this advice, and she and Selim are reconciled. The fourth tale is told just as Lalla Rookh reaches the destination of her own wedding. The frame story, in which the journey to Kashmir is being described, acts as introduction to and interruption of the tales. Adding comic relief to the narrative is the peevish chaperon Fadladeen, with his never-ending stream of criticism on Feramorz’s poetry. But in the frame narrative there’s also a love story brewing. As the journey makes progress, Lalla Rookh realises that she has fallen in love with Feramorz. She feels ever sadder because she has to marry somebody else than Feramorz, somebody she has never seen, but ultimately she acquiesces to her fate. At the moment of the celebration of the wedding it turns out that the King of Bucharia (Bokhara), Lalla’s prospective husband and Feramorz are one and the same person. And thus ends the story on a happy note. Despite being such a hit in the 1870s, Thomas Moore’s “Lalla Rookh” has been largely forgotten. This year in celebrating the bicentennial, many UK based institutions are hosting commemorative events. Interestingly, in India there’s never been an adaptation of this “oriental” story. At the end of writing this post, I am left wishing I could see a performance of this lovely story, but until then, I shall imagine it the way Moore imagined Kashmir. Stories are meant to be shared, especially when they’re about such amazing road trips – so please go ahead and join in on celebrating 200 years of this wonderful tale!